All of the spice and flavor you look for when thinking Mexican for dinner, but completely vegetarian! Simple, fresh and packed with veggies and protein! Preheat oven to 375 °F and spray baking sheet with non-stick cooking spray. Wash outside of pepper, cut in half and remove seeds. Heat skillet over medium heat; sauté olive oil, onions and garlic for 3 min. Add beans, tomatoes, corn and spices to skillet. Spoon the mixture into the bell pepper and cover with cheese. Bake in oven until cheese melts and pepper begins to brown. Top with yogurt and hot sauce if desired. Heat a skillet over medium high heat. Add the oil, garam masala, curry powder, and turmeric and stir for about 30 seconds. Add the garlic, ginger, cauliflower, and chickpeas, and stir until the cauliflower and chickpeas are evenly coated with the spices, about 2 minutes. Add the crushed tomatoes, coconut milk, salt and pepper, and reduce heat to low and simmer for about 25 minutes, stirring occasionally. Garnish with fresh chopped cilantro. Serve with whole grain naan or pita bread, or over a bed of brown rice. All of the tell-tale signs of Fall are here: the leaves are changing colors, warm hats and scarves have re-entered your wardrobe, and in-season ingredients like apple and pumpkin are popping up on menus everywhere. Fall is also a great time to incorporate more fruits into your diet. 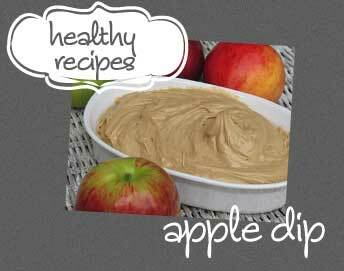 Adapted from The Mayo Clinic, this apples with dip recipe puts a new spin on a classic fruit. 1. Allow cream cheese to soften at room temperature, about 5 minutes. 2. To make the dip, combine the cream cheese, brown sugar and vanilla in a small bowl. Mix until smooth. Stir in the chopped peanuts. 3. Place the apples in another bowl. Drizzle orange juice over the apples to prevent browning. Serve the sliced apples with the dip. When you get cooking, upload a picture onto Instagram or Twitter with the hashtag #HealthyPSU for a chance to be the featured image on this blog post! Fresh smoothies can be a great way to consume fruit and dairy, in one, convenient and healthy serving. Just be careful to use fat-free yogurt and avoid adding any syrups or sugars. Watch as Jackie from Health Works walks you through how to make a strawberry smoothie. Click here to watch more of our healthy recipe cooking videos. 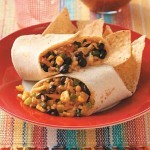 Put a different spin on taco night with this healthy recipe for corn and black bean burritos. This recipe makes about 12 servings, so call your friends over, and have a meatless meal! 2. Combine scallions, celery and corn in a small saucepan. Add just enough water to cover. 3. Cover, bring to a boil, and reduce heat to medium. Simmer for 5 mins. until vegetables soften. Drain vegetables. Set aside to cool. 4. Combine avocado, cilantro and beans in a large mixing bowl. Add cheese and salsa and mix. 5. When corn mixture has cooled slightly, add to avocado mixture. 6. In a large nonstick pan over medium heat, warm each tortilla for about 15 seconds on each side. Place each tortilla on a flat surface. Spoon 1/3 cup of the mixture into the center of the tortilla. Fold the top and bottom of the tortilla over the filling. Fold in the sides to make a closed packet. 7. Repeat with the remaining tortillas. 8. When all tortillas are wrapped, place in a baking pan and bake for 5 minutes, until burritos are warm and cheese is melted. Have a photo of this recipe? Tag us on Twitter or Instagram with it, and we’ll add it here!